Rimmers Music | BlogNewsWhy Stentor Violins? The leading brand for high-quality violins; recommended by music teachers and music services everywhere due to the fantastic quality that they provide. Stentor is known for providing consistent quality and reliability and can take beginners up to a professional level without having to upgrade their current instrument. Musicians should have an enjoyable and rewarding experience and Stentor can provide this. Finer details go into the design of a Stentor violin, they are carved from solid tonewoods and are individually thicknesses for the quality of sound. 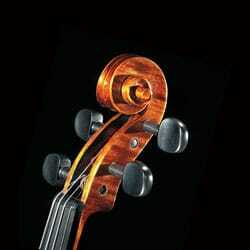 We have Stentor violins, cellos and double basses here at Rimmers Music. We offer part exchange deals and also provide great finance, making the instruments affordable to everybody!